I enjoyed a live of Momoiro Clover Z in Chitose. Its title was Seishun. It was a great live. 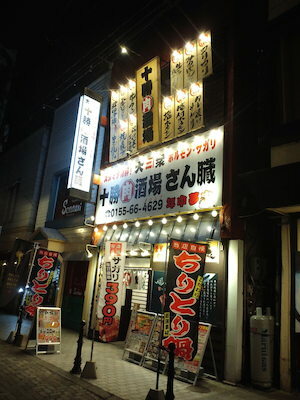 After a live I went to Ikki, a ramen shop, in Chitose with my friends. 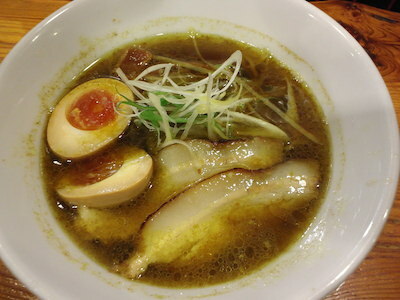 I ate curry ramen and gyoza. They were good. I was so satisfied with today’s all ivents. Thank you so much, my friend. 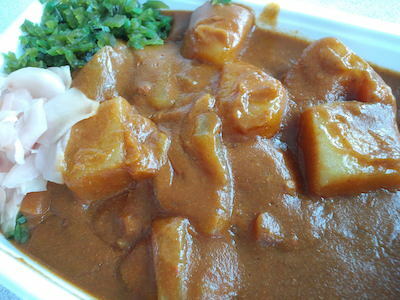 I ate pork soupcurry with shungiku just on. It was good, too. 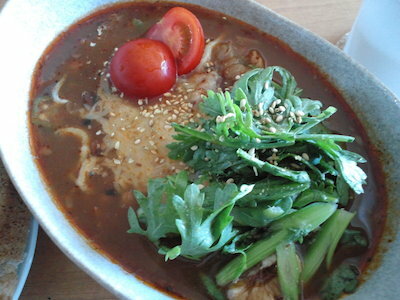 Yesterday’s soupcurry and shungiku was good and today’s was also good. I was so satisfied with them. Thanks, my wife. 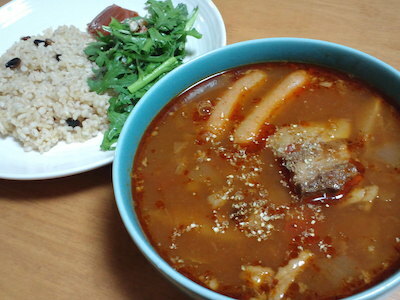 I ate pork soupcurry with tomato soup made by my wife. It was so good. And better with shungiku. It was better than no shungiku. I like it. 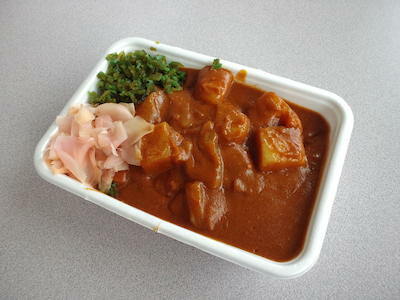 I ate cutlet curry with vegetable roux of Indian Otofuke branch for dinner. This was the last curry of vegetable roux series. 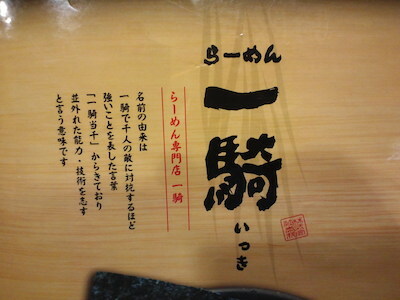 I went to Sanzo in the center of Obihiro with my friends after a radio program. I talked there and was hungry. 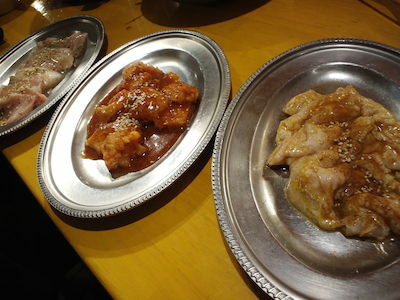 I ate BBQ so much that I would not able to eat the last rice.www I ate curried hormon as bbq. It was good, too. I was so satisfied.